Even if instruments are designed to withstand harsh physical conditions and last for long periods of time, routine calibration as defined by manufacturer, industry, and operator standards is necessary to periodically validate measurement performance. 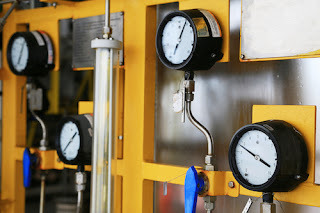 Information provided by measurement instruments is used for process control and decision making, so a difference between an instruments output signal and the actual process condition can impact process output or facility overall performance and safety. TECO's calibration lab is ISO/IEC 17025 Accredited. Many calibration houses can only verify calibration within the manufacturer's specifications, and it's a myth that they can fix anything that is broken. For more information visit http://teco-inc.com or call 800-528-8997 for immediate service.